We recently did some procedural writing in class. Procedural writing is like writing instructions or directions for someone to follow. We wanted to write about something we were all interested in so we decided to write about slime and how to make it! 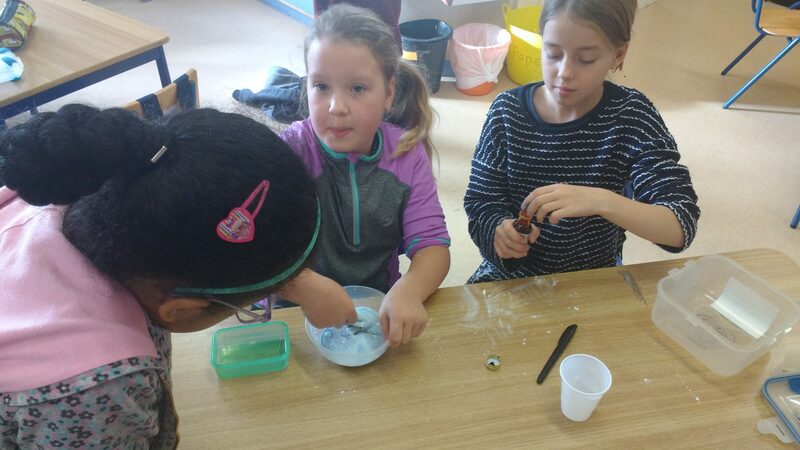 Here are some of the pictures of us following the procedure to make the slime ourselves!